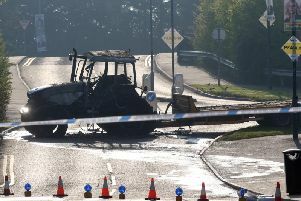 A slurry tanker crashed into a garden at a house on the Belfast Road, Glenavy on Friday afternoon. The road was closed whilst the vehicle was removed and there were no serious injures reported. The Belfast Road was opened a short time later.